This summer, French restaurant Epure is launching a brand new caviar menu tasting menu featuring dishes created by the establishment’s executive chef Nicolas Boutin. The new courses will showcase the best Ossetra and Kaluga Amur caviars, paired with the season’s best harvests. 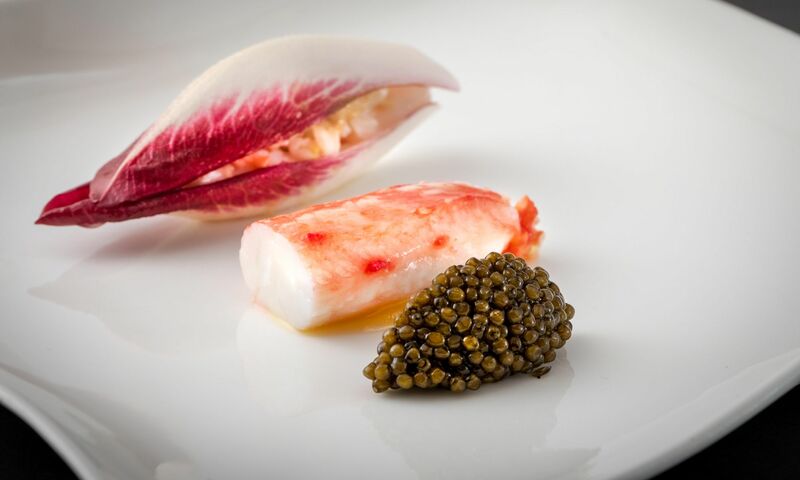 Guests can indulge in a starter of king crab, served with citrus, red endive and Ossetra caviar, followed by rainbow trout, sea urchin cream, cucumber froth with Kaluga Amur caviar. The menu showcases the milk-fed veal tenderloin served with smoked potato mousseline, jus gras, and Kaluga Amura caviar, a cheese course of Comte reserve Xavier selection (with an additional HK$238 for Ossetra caviar), as well as chestnut, mango, passion berry and passion fruit seed as dessert. The five-course tasting menu is priced at HK$1,888 per person, with an additional HK$28 per gram of caviar).